In both scientific and travel literature the names Périnet, Andasibe and Analamazaotra are often unmindfully used in synonymy. 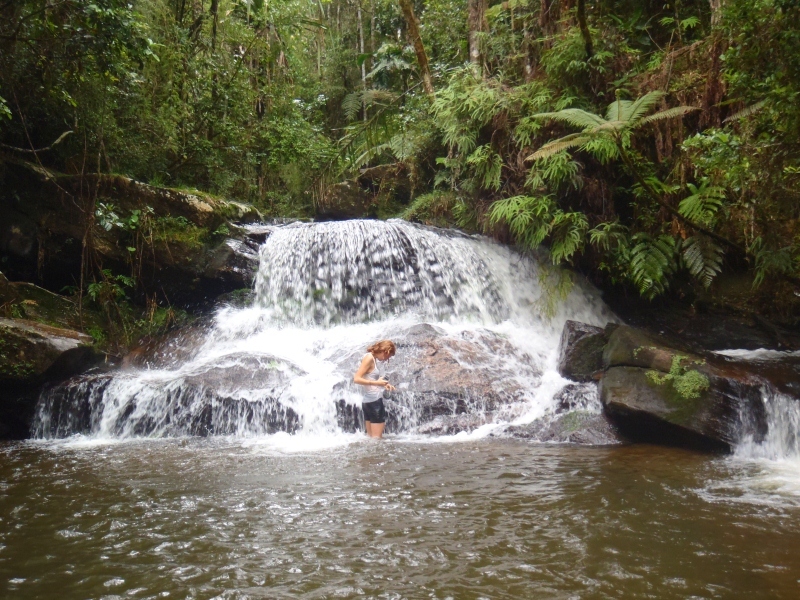 The name Analamazaotra is derived from the forest and the small river that flows close to Association Mitsinjo’s office today. With the expansion of the Merina kingdom towards the coast in the 19th century under King Radama I., a small village existed here that was named Analamazaotra after the river. It served both as a small military post and lodging stop on the major route linking Antananarivo with the coastal cities of Andevoranto and Toamasina (colonial name of Tamatave). The village of Analamazaotra, which was located near Mitsinjo’s office today. Travel was difficult and mainly on foot on this small and winding unpaved trail. Only wealthy people of the Merina aristocracy or foreigners used it, usually carried in palanquins (filanjana), whereas goods were transported by zebu (local cattle) pack. After the end of the Merina monarchy, brought about by the French occupation of Madagascar in 1896, the new colonial rulers immediately aimed at converting the old trail into a workable road and simultaneously building a parallel railway line between Antananarivo and Toamasina. The railway stretching from Antananarivo to Toamasina. Andasibe was a popular stopover en route. In the early 1900s, the French had established a train station close to Analamazaotra village that was named after the principal engineer of this section, Henri Périnet. 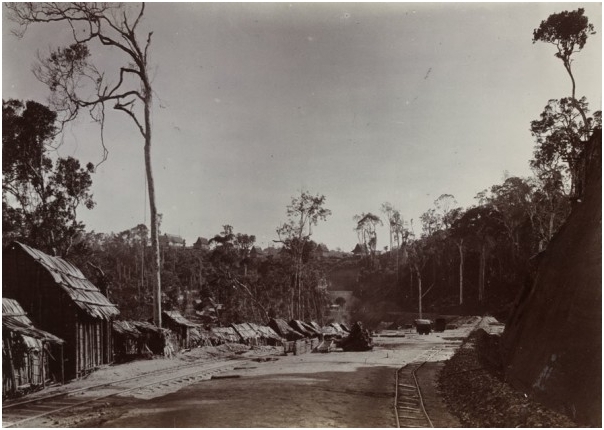 From Périnet station, logging camps along the railway were established in order to make way for the rails and to produce wood fuel for the steam engines. 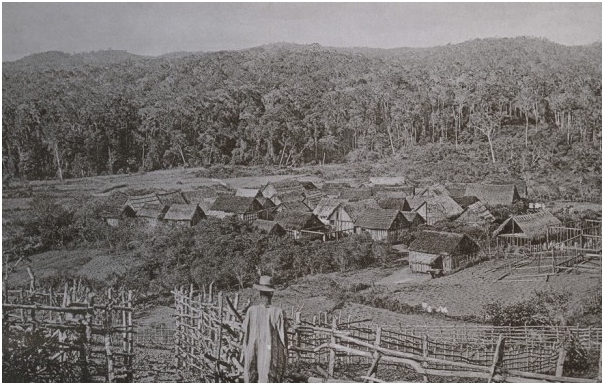 The biggest logging camp was established close to Périnet station itself and simply called Andasibe (meaning at the place of the big camp). 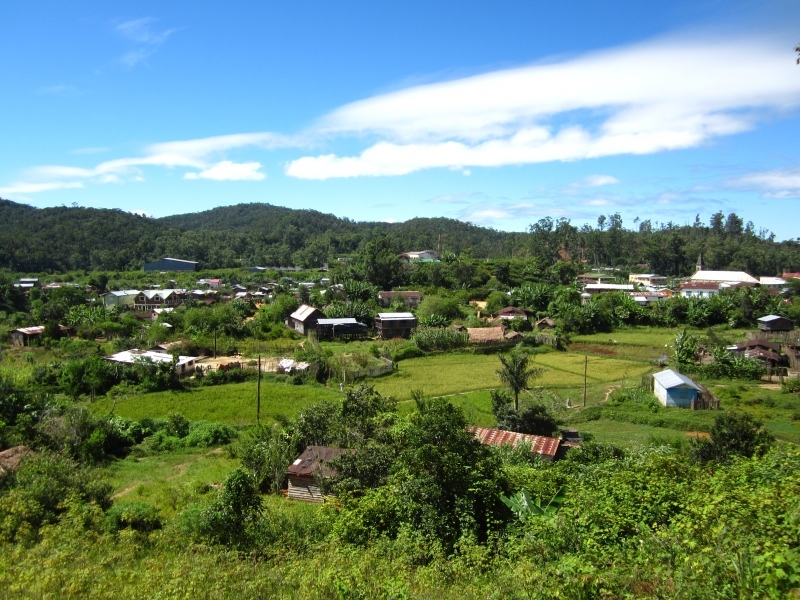 Thanks to its geographical position along the railway, Andasibe/Périnet attracted migrant workers from various regions of Madagascar and soon developed into a village of its own. 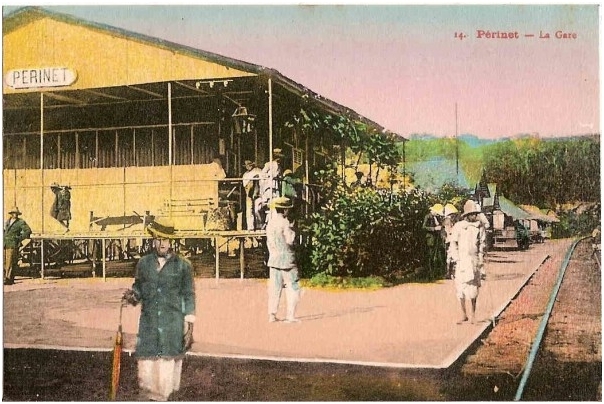 After the construction of the fashionable Buffet de la Gare, starting in the late 1930s, the village became a popular lunch stop for the daily trains between Antananarivo and Toamasina. Starting in the 1940s, exploitation of the nearby graphite mines by companies Louys and Izouard contributed to another influx of workers. 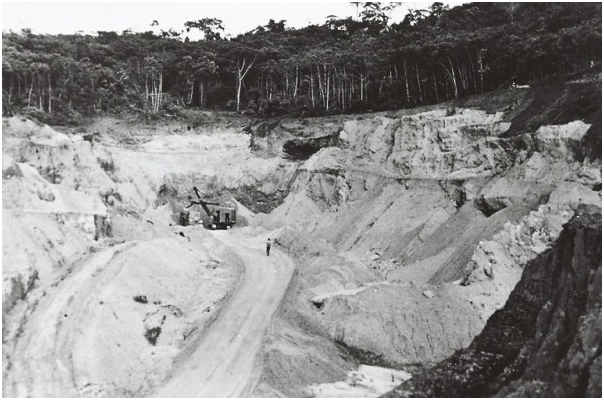 Both mining and forestry stayed the main employers through the end of the colonial period and into times well after independence came in 1960. Mining and forestry stayed the main employers through the end of the colonial period and into times well after independence came in 1960. Whereas Périnet was used as the common name of the village, people preferred to use the Malagasy instead of the French name and again called it Andasibe after independence. Parallel to the decline of the last sawmill (the Complexe Industriel de Bois d’Andasibe or C.I.B.A.) whose ruins can still be seen across the river from village today, tourism began to emerge as a new source of income. 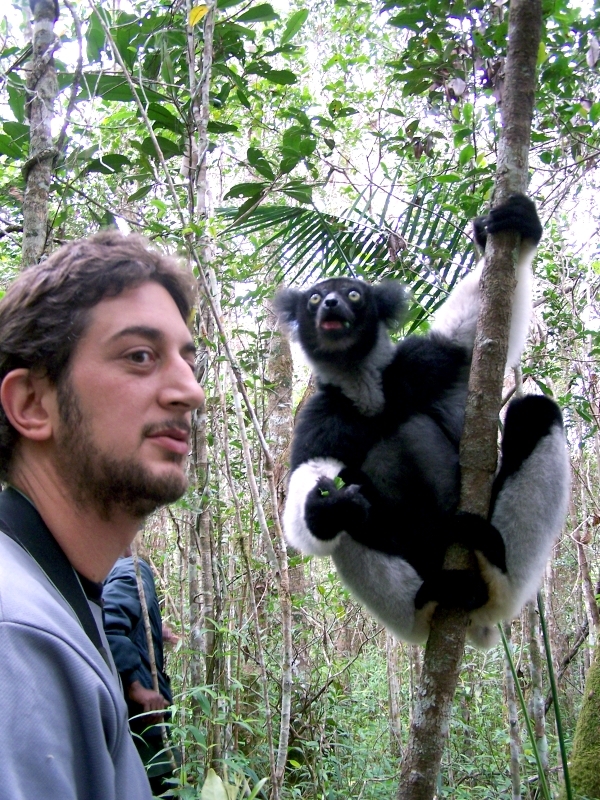 Parts of the venerable Analamazaotra Forest Station were set aside as a special reserve in 1970 to protect the Indri, the emblematic lemur of the region. 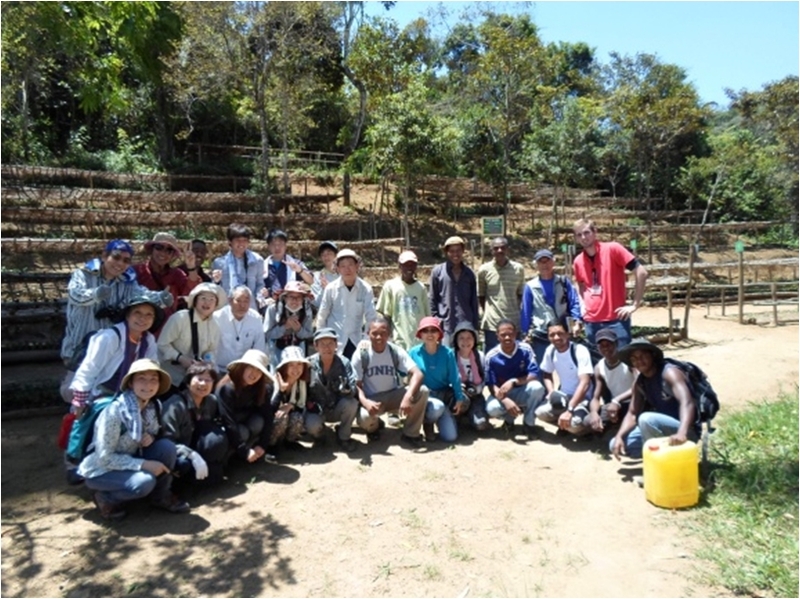 Villagers, who had formerly used their acquaintance with the forest for the purpose of fishing or hunting, now offered their services to tourists to work as wildlife guides. The Buffet de la Gare, which for a long time was the only hotel of Andasibe, soon faced competition by other hotels springing up. 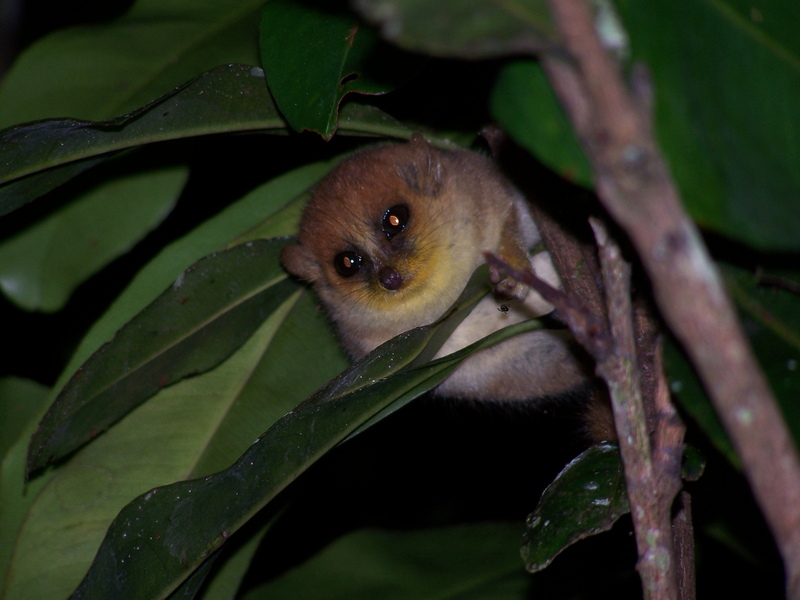 Tourism started to boom after the creation of Mantadia National Park in 1989. At the turn of the millennium, tourism had itself established as a major source of income for Andasibe. Although tourism continues to be a strong component of the local economy of Andasibe, wealth is not distributed equally among residents. Unfortunately, this wealth is not equally distributed among its inhabitants. Many remain woefully poor, subsisting on meager forms of agriculture such as slash-and-burn, charcoal production, logging and gold panning. All these activities are not only detrimental to the environment, but they are ill-suited to help break the vicious cycle of poverty and the degradation of natural resources. We would like to encourage visitors to take a stroll through the village with this history in mind. Anything you purchase on the local market or spend in any of the small hotelys, will help the local economy. Today, Andasibe Commune has roughly 12,000 inhabitants that are distributed among 6 fokontany.